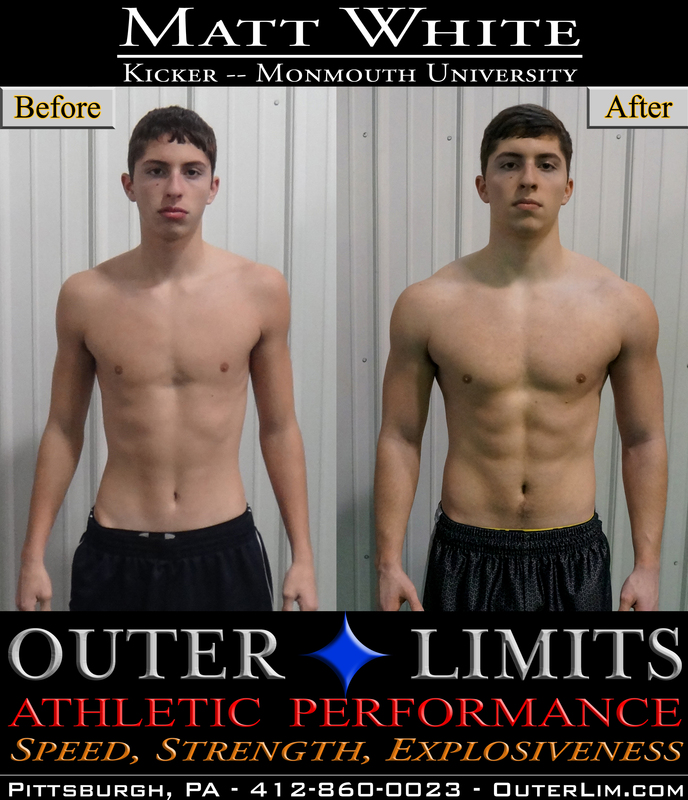 Matt is training with Outer Limits to improve speed, quickness, agility, kick velocity, muscle mass, and overall athleticism for the upcoming football season. On 2/5/2014, Matt White signed to play D1 football for Monmouth University. 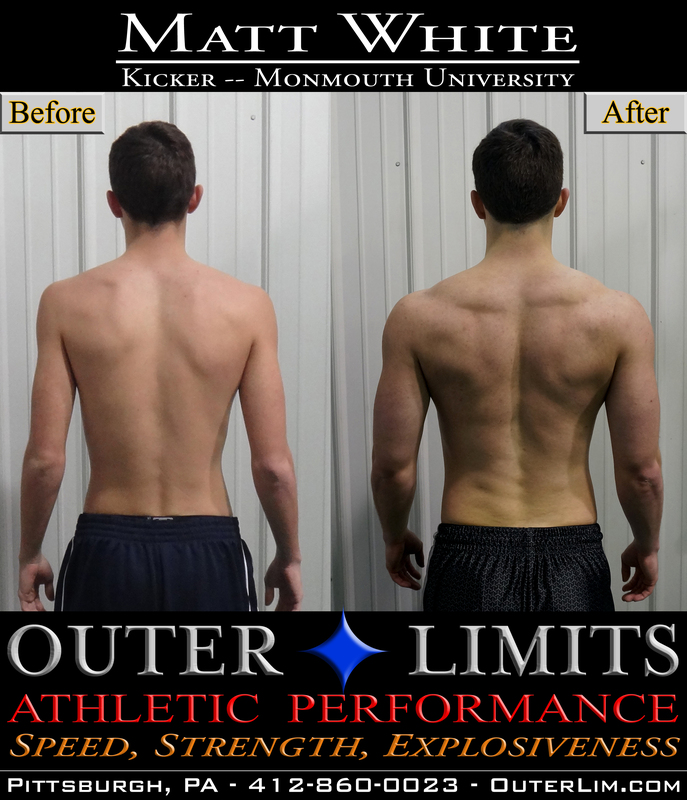 Matt has been training at Outer Limits since 2011 to improve his kicking/punting. During that time he increased strength, explosiveness, and gained over 25 lb of muscle. 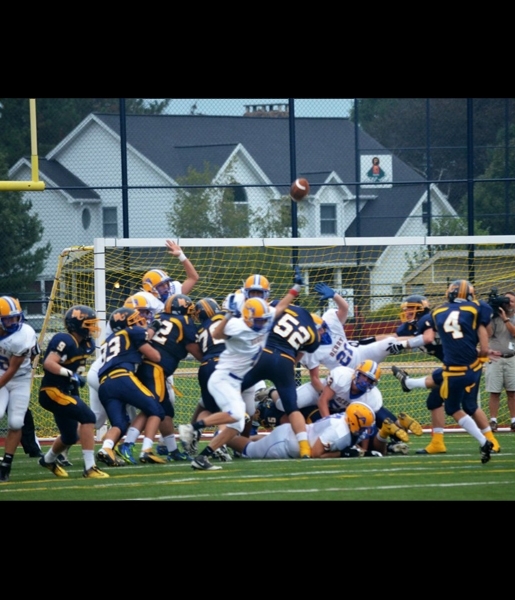 He is able to kick 50+ yard field goals and his kickoffs consistently reach the endzone for touchbacks. Matt set seven Mars High School records as a senior, including punting average (39.1), longest punt (61), single-season PATs (53), scoring (kicker) with 62 points... Ranked as the fourth best punter by ProKicker.com and the second best combo kicker... Named ProKicker.com All-American Second Team Punter and Second Team Punter/Kicker combo... Had a school record 36 touchbacks on kickoffs... Had 53 total points as a junior... Matt was named all-conference for both kicker and punter. 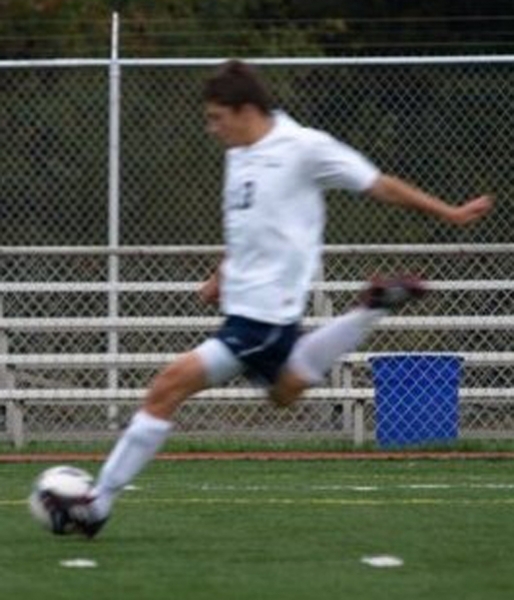 Also was an all-conference soccer player for Mars Area.